I recently bought a 2011 911 through Patrick Willyard. He made the whole process pleasant, with the right amount of information and listening over the couple of days we worked out the deal. Each of the other employees I met with were equally helpful and friendly. Patrick also followed up after the sale to make sure everything was going OK, including getting me hooked up with the PCA chapter, as well as, helping find online information sources for me. 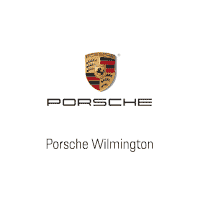 I highly recommend Porsche of Wilmington and Patrick! I have never written a review before, but my experience with Porsche of Wilmington, and specifically Patrick Willyard was so amazing I wanted to let potential buyers know. I just picked up a new GT3, a car we waited for over a year, and Patrick made the process seamless and FUN!!! The delivery process was also exceptional. There was no pressure to buy all the dealer add-ons. I can't wait to start the next "project"
I ordered a 2019 Cayenne S. Patrick Willyard was extremely knowledgeable and guided me well through the ordering process. The delivery and post delivery education was outstanding. The team and car are phenomenal.